Here at Essex, we have an excellent staff of professional musicians. These teach with instruments provided by the Mayor of Newham (as part of the Borough-wide initiative, Every Child a Musician). 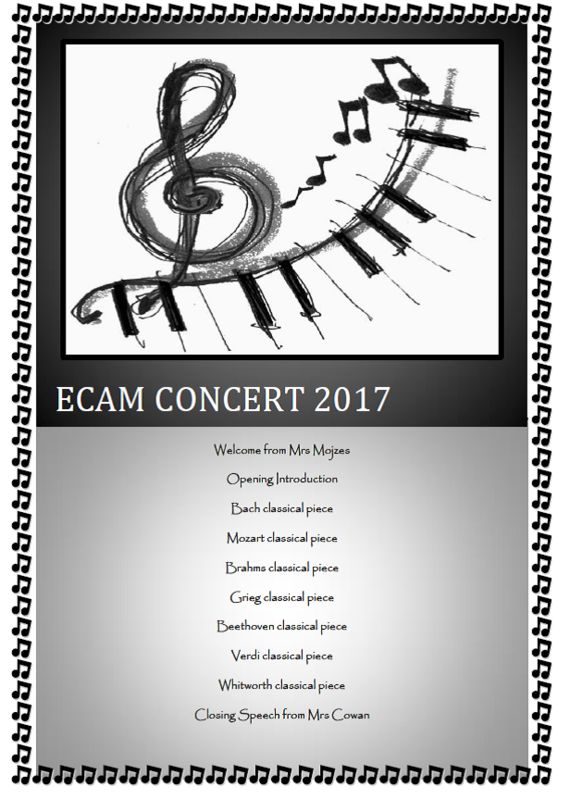 Our ECAM Concert, in front of an invited audience of parents and carers, proved how hardworking and talented our children are! 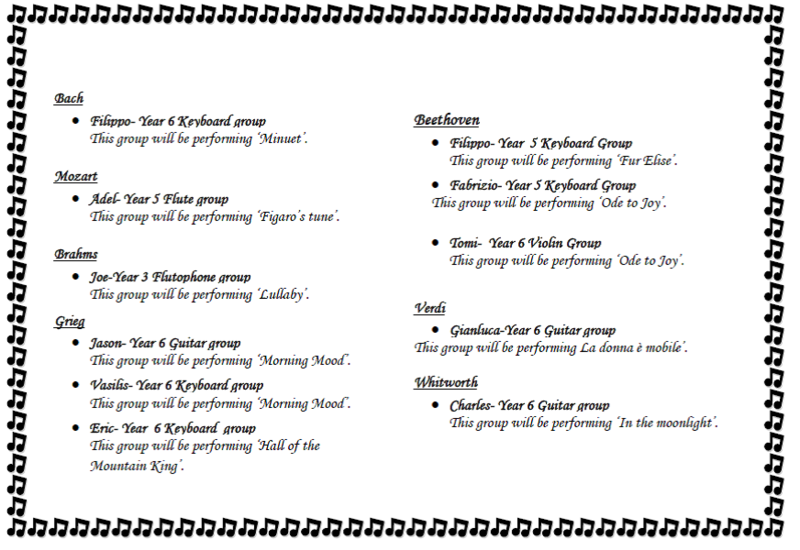 The programme of the performance is included below.